I’m feeling the strong rays already. Sun rays, because the Arizona summer is creeping in. And sunny, because I’m only days away from starting a romance with my newest man, Mr. 1955. He’s a special one and makes me feel bright and happy inside. When I’m in that sun-soaked mood, music is the perfect tag along. So here it is, my ode to summer and the music that built me. Great music is timeless. 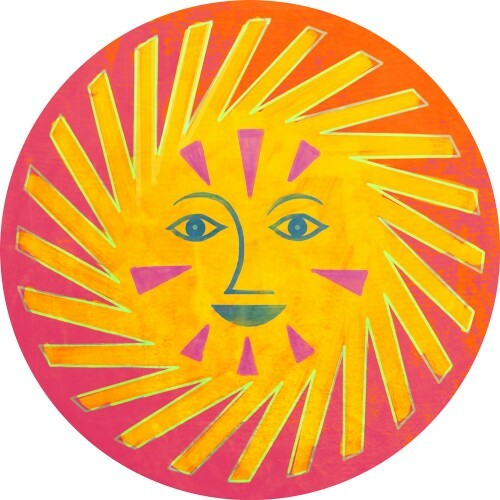 Yes, “Here Comes the Sun” came out in 1969 (7 years before I was born) but I still love it. The Beatles, The Mamas & The Papas, Fleetwood Mac, Crosby Stills & Nash, Simon & Garfunkel, Peter, Paul & Mary and Don McLean all provided a soundtrack for my early ears. I’ll credit the man who curated the soundtrack, introduced me to the music and who I have only mentioned a few, short times during the course of this memoir/blog/blovel, for my love of the songs…my dad. Just reading those four words, “Here Comes The Sun” slows my racing mind and settles me into an ideal mood for what I know will be a busy summer. Mr. 1955 is going to be another summer romance and I couldn’t be happier. It’s more than “alright”. It’s exactly what I’ve been hoping for. Yes, the next few months will come with challenge and frustration, but I’ll circle back to the Beatles’ reassuring tune. I’m in step with the Fab Four and our long strides are walking confidently across Abbey Road. We’re holding our heads high, smiling, laughing and loving every minute of life. Well…I guess you could say it’s more like I’m walking confidently down Highland (street of the latest renovation) toward Mr. 1955. I may not be dressed in a stylin’ suit, but I’ve got my summer something on and the vibe is right. I’m certain there was not a single moment from the time I came into this world that my dad wasn’t singing. Young children don’t seem to mind whether you have a great voice or not; I know this because mine beg me to sing them songs each night; and I promise, my voice is hardly skilled. For me, my ears were lucky. My dad had (and still has) a legitimately, beautiful voice. Like…stop what you’re doing when you hear him beautiful. His voice is masterfully skilled, practiced and God given. He has musical genes that sadly skipped me. He’s written an opera. Yes. An opera. He’s a true creative. A chef on paper, but he’s a singer, guitar player, writes, draws, could pass as a professional photographer and yes…he’s a talent in the kitchen. After all, cooking is art. As a little girl, it didn’t get much better than watching his handsome face fill meaningful songs in the air. Sometimes it was a car concert, other times it was an out of the blue a cappella. There were kitchen concerts often, but the real crowd pleasers came with strumming of the strings. Dad even had some originals. I was mesmerized. How did he do it? No sheet music…every bit by memory. Each song took me away and I was a part of a magical, musical story. An adventure in notes and words. My favorite request for far too long was “American Pie”. Again and again, I could not and still can not, get enough of that song. On the rare occasion when I catch it playing, I silently hope it’s just started so I can spend the next 8-9 minutes back in time. The scattered story fascinated me. The analogies were fuzzy at best but dad explained each verse as well as he could. Clearer with every listen, the meaning started to sink in. It was a pencil sketch slowly filled with color. Dad would speak to certain points and I was able to sharpen my vision and add pigment to another scene. I saw the young boy, dressed for a chilly day, tossing newspapers to each door. Sad, crying faces became clear when I understood the details of the great musician’s untimely death. I saw the levee after Dad explained what that was; and being from Texas, I obviously already knew about Chevys, (see “Nice to Meet You” and “Texas Forever”). Whiskey and rye sounded like things I would never have interest in drinking, and while I pretended to understand the whole jester/cut to courtroom/football game/back to jester in a cast analogy…I didn’t get it. To this day, I’m still confused. But I did understand that the quartet in the park were The Beatles…in Candlestick Park to be exact. And I saw a crying world on pause after those three, hope-filled, influential men were suddenly gone. Dad’s explanation of who they were made me wish people like that were still around. I see him like it was yesterday. Fingers moving like magic over strings with a happy sway. He’d move his head from side to side causing his hair to fly. With his eyes closed, every word hit my ears loud and clear. Music erased any thought of worry, confusion or sadness. Joy, excitement and happiness was all I felt. Our situation was not perfect…the “every other” is never ideal for anyone who loves their kids and the kids that love them, but it was what it was and we certainly made the most of our time together. It was our normal. And in all honesty, I barely remember life before. I looked forward to weekends with my dad. Bedtime always included a song and a prayer. Kneeling beside me each night, he’d look me straight in my eyes and most often, sing “Edelweiss”. He was patient. Never rushed and listened carefully to my every question and thought on life. I think about this from time to time when I’m putting my own children to sleep. I want to speed it up. I’m exhausted from the day, week and thoughts of tomorrow. My sweet memories as a little girl stop me. Most often, I’m able to sing to each of them, say prayers and leave feeling good when I pull the door behind me. Bedside moments with dad gave me the chance to know that I was a child loved. I felt he adored me. He told me so and showed me so. What more can we ask for? So…we’re cruising at a summertime altitude now and I’m literally about to cruise (fly actually) on over to the farm in a few weeks, (see “The Simple Life”). It’s June and this memory lane, dedicated to my father, is perfectly timed. Summer was our season. We’d see each other for the longest stretches. Texas summers meant camp followed by time at Dad’s house. Endless catch ups, lots of cooking, songs on repeat and I my chilled pillow each night. Yes, he had a signature move…popping my pillow in the freezer before bedtime to help cool me to sleep. To this day, nothing feels quite as nice. I highly recommend it. My childhood summers have been replaced with raising a family, work, a get away here and there and a stretch of time at the beloved farm. I miss my dad always and while we might not have the wild adventures I took (and still take) with my mom, he gives me roots. Dad still lives in the same house he’s lived in for 38 years back in Texas. He still sings, although now I’m only entertained during the occasional Arizona visit. The serenades are not for me alone, they’ve extended to new fans…my three children. They love them as much as I did. While long distance is never ideal, life deals us hands and we deal with the cards. Mr. 1955 and I will be doing the long distance dance for a few weeks. I’ll be at the farm with notes, photos, my laptop and of course my phone in hand. He’ll be in demo mode during my treasured “simple life”, and the truth is, that’s okay. It’s hard to watch someone you love being torn apart. I’ll love him from afar and assure him that all the bashing and banging will be worth it in the end. The crew knows the plan and I trust them completely. And when I return, Mr. 1955 might be a little bruised, broken and empty, but I’ll be there each day to build him back up and tell him…”it’s alright”.